Dubai International Art Centre took next to no time in becoming one of the famous institutes of arts and languages in Dubai. Their main aim is to unveil the hidden talent of the citizens of Dubai. Although language course is focused more but there are several other fields on which the institute prefers paying attention, such as arts and designing. Each course is taught in detail so that students are able to grab quality knowledge and acquire full command over it. Under the observation of quality staff you will be getting quality education. The timings are flexible you can choose a class according to your availability. 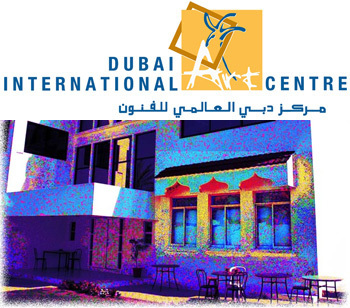 Arabic and Spanish language courses are taught at the Dubai International Art Centre. Music, drawing ad painting classes are also organized. If you have interest in sculpture, pottery, crafts and designing then Dubai International Art Centre is the right place to visit. Five days a week, from Saturday till Wednesday the schedule of classes has been organized for the students. The first class starts from 9:00 am and the last class ends at 4:00 pm. If you are looking forward to contact the admin of Dubai International Art Centre then do not hesitate to call on the number cited below – it would be ideal if you call them during their operational hours. 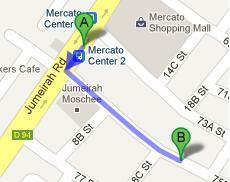 From the institute Mercato Center 2 bus stop is 400 meters away you will have to walk for 5 minutes to reach at your destination. From the stop, head towards the southwest direction on Jumeirah Rd/D 94 toward 75B St and then take left turn on to 75 B St and then you will reach at the institute. For a detail view of the pedestrian path click here!